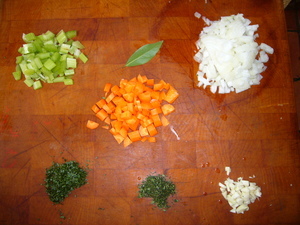 Clean and prepare the first 6 ingredients. We only need the lobster shell and legs. 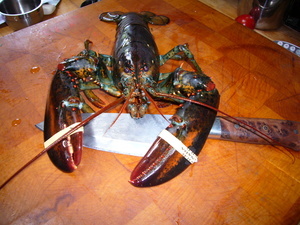 To prepare the lobster, you can either cook it whole and reserve the meat for another purpose, or cut it up raw. 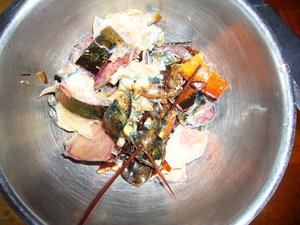 I needed raw meat to make the lobster ravioli, so I cut it up whole. 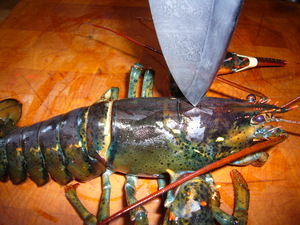 To quickly kill a lobster, place the point of the knife at the first seam behind the eyes (about an inch or more back). Pierce the shell, straight down, and then cut forward between the eyes. Then cut the remaining body in half. Coarsly chop up the shell. You need the proper knife for this; I'm using a Japanese style deba. Then finish chopping the shell in a food processor. The finer the shell, the better. 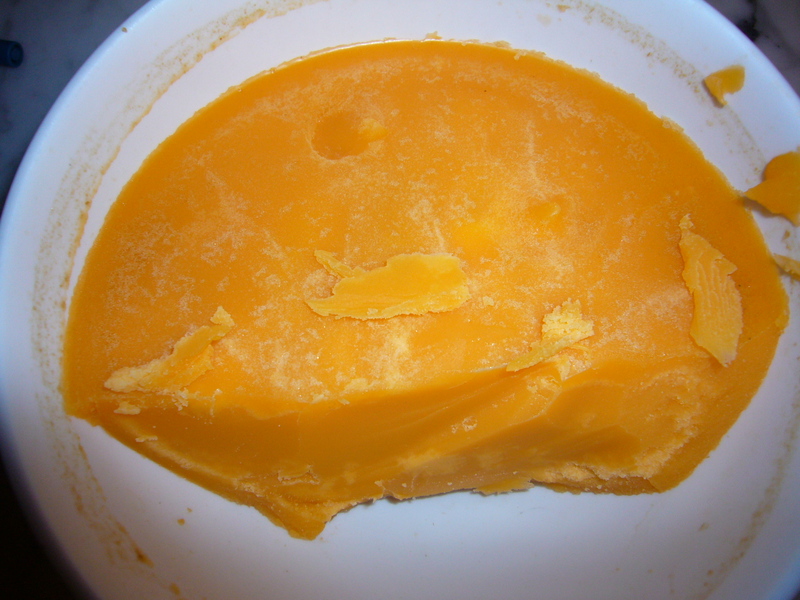 In a large saucepan, melt some of the butter (about two tablespoons). 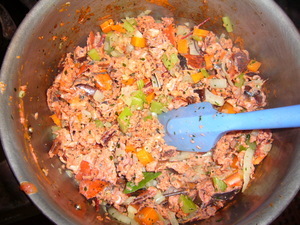 Add the first 7 ingredients and saute over high heat for about 3 minutes, stirring constantly. 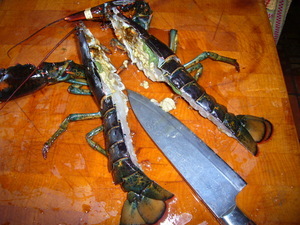 Add the lobster shells and the cognac, and stir for another 3 minutes. Lower the heat and add the butter and tomato paste. Simmer for about 3 hours. Strain, pressing on the solids. Then, strain again through a triple thickness of damp cheesecloth.